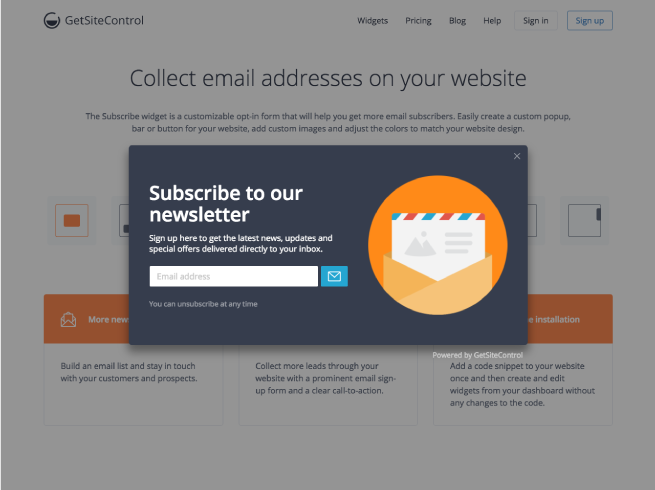 GetSiteControl is a set of seven website widgets for visitor engagement: subscription opt-in forms, online surveys, contact forms, live chats, promo notifications, follow and share social buttons - all easily managed from a single dashboard. 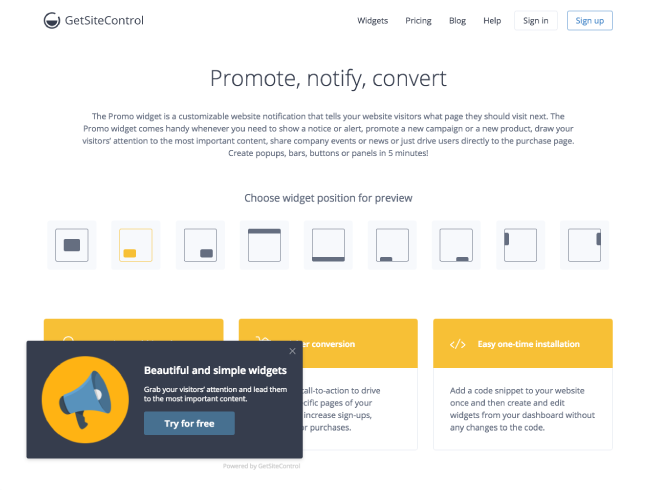 Easy one-time installation and unlimited widgets for your website. 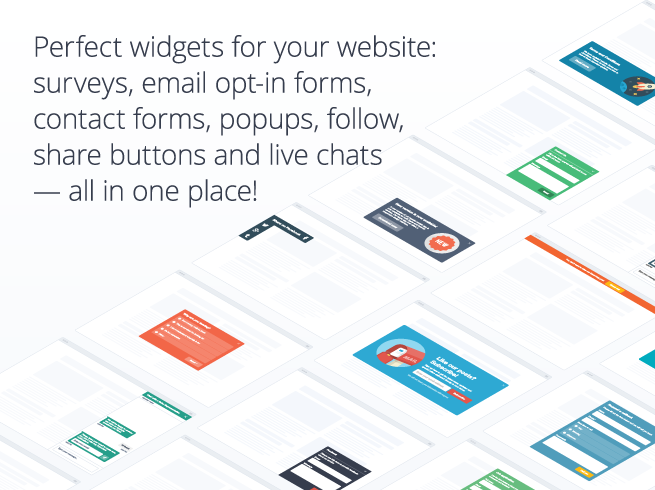 Everything you need to interact with your website visitors and keep them engaged. Advanced targeting: by country, device, browser, OS, traffic source, IP or UTM. 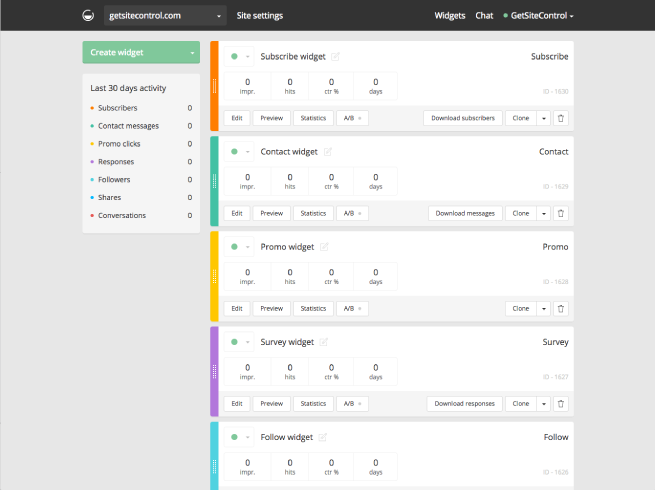 9 widget positions: popups, top or bottom bars, buttons, panels, slide-outs. Attract more eyeballs to your desired products by selecting which category you would like displayed next to your Featured Products. 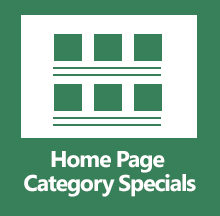 When new products are added to this category, they will automatically be displayed on your home page. RendrFX is an online 'plug and play' motion graphics maker. Create unlimited videos. Over 250 templates. Access to royalty-free stock media library including audio. Hassle-free licensing. 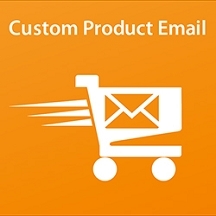 Get a CRM contact form that can be linked from the product page for products. When the link is clicked, a modal window will pop up with a preview of the product thumbnail, name and part number. You can also add additional questions for the customer to answer. The form will send an email using the built-in CRM system and will include the product details and the contact information.